Anyone who wishes to harvest mushrooms must first acquire the knowledge to correctly identify mushrooms and handle them according to recognized safety standards while preserving the resource and its environment. 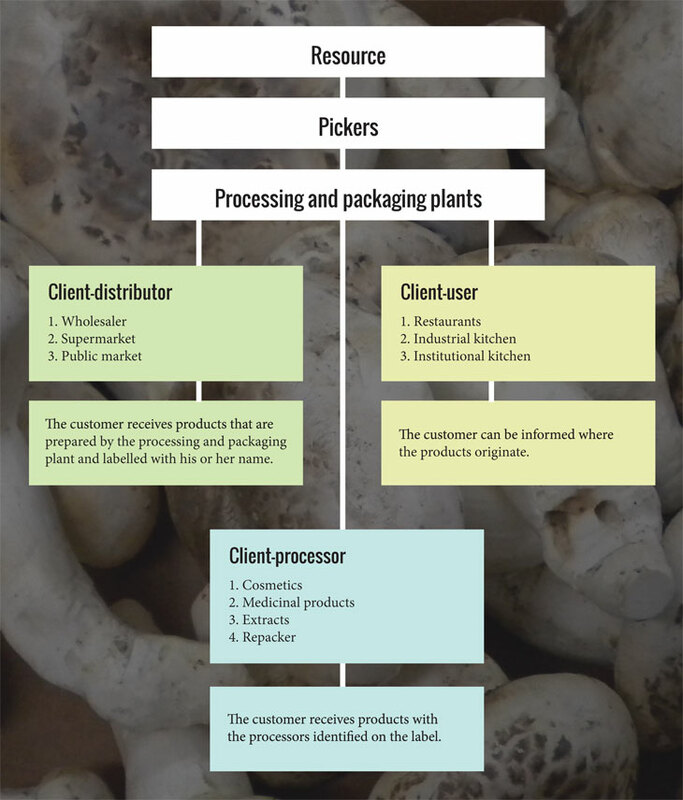 Anyone who wishes to commercially harvest mushrooms must enter into an agreement with a processing/packaging plant to which the mushrooms will be delivered. They fill in a harvest territory statement (that excludes areas that may contain products likely to adversely affect human health). Places prohibited for harvest. Handle and transport mushrooms to the processing or packaging plant in such a way as to preserve their quality and integrity, respecting safety standards for food products destined for human consumption. Consult the selling your crops section to find processing and packaging plants in Mauricie. Ensure that personnel handling these products have received adequate training. Ensure for fresh mushrooms that the cold chain is maintained from the packaging plant to end use and that the mushrooms are not damaged or expired.